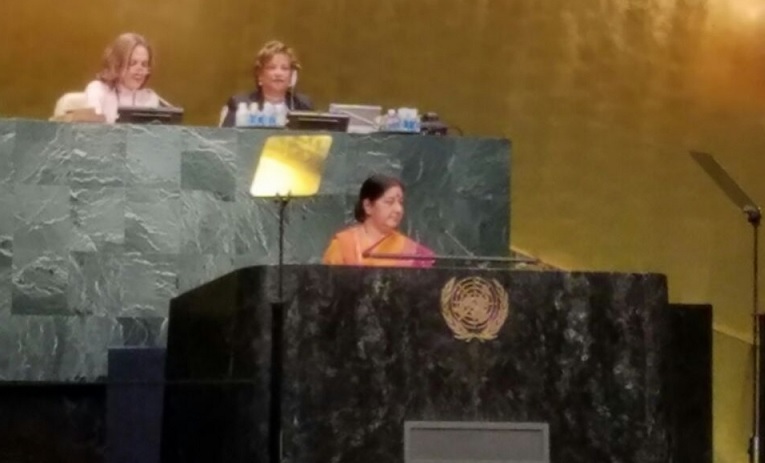 External Affairs Minister Sushma Swaraj addressed the 71st session of United Nations General Assembly. Targeting Pakistan, she said that every country which sponsor terror and do not act against terrorism should be isolated globally. Responding to Pak PM Nawaz Sharif speech on human rights violation in Kashmir, Sushma Swaraj said that Pakistan should first take care of Balochistan. She also challenged Pakistan on Kashmir issue and said that Jammu & Kashmir is an integral part of India and always will be. And India is not alone in the demand to declare Pakistan a terrorist state. The Indian-American community in the US has launched a White House petition to designate the country as a state sponsor of terrorism.